One hundred years after James Watt’s steam engine gave birth to the Industrial Revolution this railway was built. For a century it provided a link between regional communities and with Melbourne. One hundred years later it was closed, superseded by advances in road making and the internal combustion engine. Another third of a century on, the Great Victorian Rail Trail is a recreational corridor, once again linking communities and drawing local, regional, interstate and international visitors to walk, cycle and horse ride, where once there was steam. 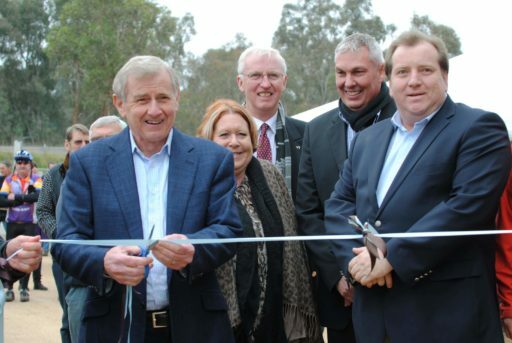 The rail trail was officially opened in June 2012. 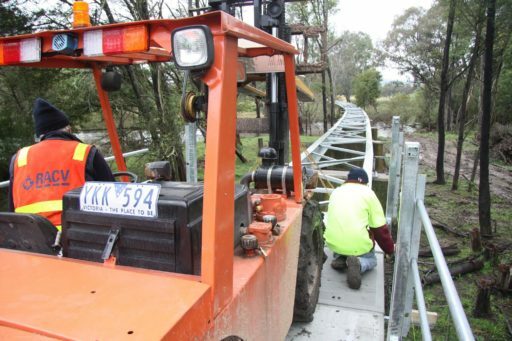 Mansfield, Murrindindi and Mitchell Shire Councils formed a three municipality partnership to construct the longest rail trail in Victoria and Australia’s longest continuous rail trail. This $14.2 million project and investment is testimony to what is possible from local, state and federal government partnerships. The multi-use 134 kilometre rail trail crosses Mitchell, Murrindindi and Mansfield Shires. Running from Tallarook to Mansfield and Alexandra construction included 134 kilometres of pathway, 73 bridges, 55 road crossings, one underpass and essential amenities. More than 50 contractors delivered $12.4 million of works and most were regional businesses. During the rail trail’s construction the trail was known as the Goulburn River High Country Rail Trail. In 2013, as part of important post-construction identity, interpretation and wayfinding work, the trail received its new name; THE GREAT VICTORIAN RAIL TRAIL, proudly expressing this rail trail is an experience not to be missed. All enthusiasts should read the story of the construction of the Great Victorian Rail Trail. The project story 2011 (pdf, 3.4MB).